Apple stores are reportedly offering their discounted battery replacements to any iPhone owner willing to pay the fee regardless of whether or not an old battery passes testing, and some users are reporting partial refunds on earlier battery exchanges —but this is not a universal policy. The company has issued instructions to store staff on the matter, French site iGeneration noted on Tuesday. Apple launched $29 replacements last week, a month ahead of schedule. 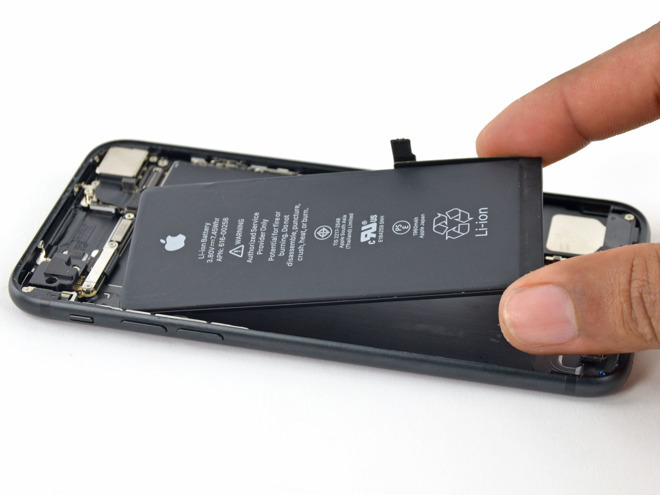 Out-of-warranty replacements normally cost $79, but public outcry —including a flurry of lawsuits —followed its admission that it throttles iPhones with weak batteries, nominally to prevent sudden shutdowns that could damage electronics. Lawsuits have charged that intentionally or not, this prompts people to buy newer iPhones. iGeneration added that Apple is also offering refunds to people who recently paid full price. AppleInsider, however, has confirmed that the refunds don't represent a universal policy, and are at present handled on a case-by-case basis. Apple is only selling $29 swaps to people with an iPhone 6 or better, and only through Dec. 2018. Owners of older hardware will probably have to turn to third parties.